I'm a big fan of sleep, hearing protection, and earplugs in general so I took a chance on these and will never go back. 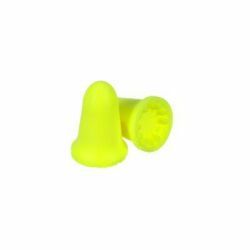 I'm always on the lookout for high performing comfortable ear plugs and I've found a winner. These 3M earplugs are soft and never hurt my ears while at the same time they do a better job of noise reduction than any other ear plug I've tried. Noisy car? These things take away the noise. Need to sleep on a flight or in other noisy environments? These will do the job. I think the term "silence is golden" might apply to these earplugs given their yellow color. If you buy these in single packs you might pay a dollar a pair, but if you get a box the cost goes down to about ten cents a pair.